SCVHistory.com SB4501 | Agua Dulce | Vasquez Rocks, 1945. Vasquez Rocks, 1945. Real photo postcard printed on EKC paper, a Kodak brand. 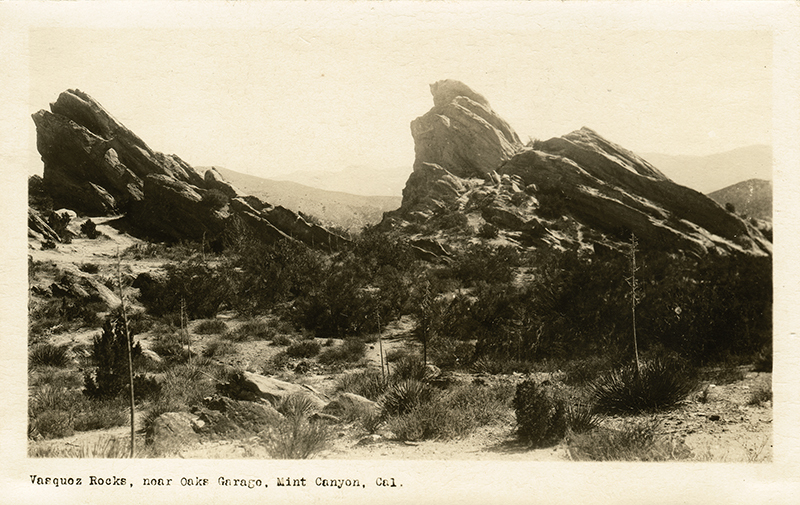 Printed inscription reads: "Vasquez Rocks, near Oaks Garage, Mint Canyon, Cal." Perhaps the issuer thought the Oaks Garage on the Mint Canyon (Sierra) Highway, which would become Le Chêne French restaurant, was a better-known landmark than Vasquez Rocks. Undivided back, not postally used. 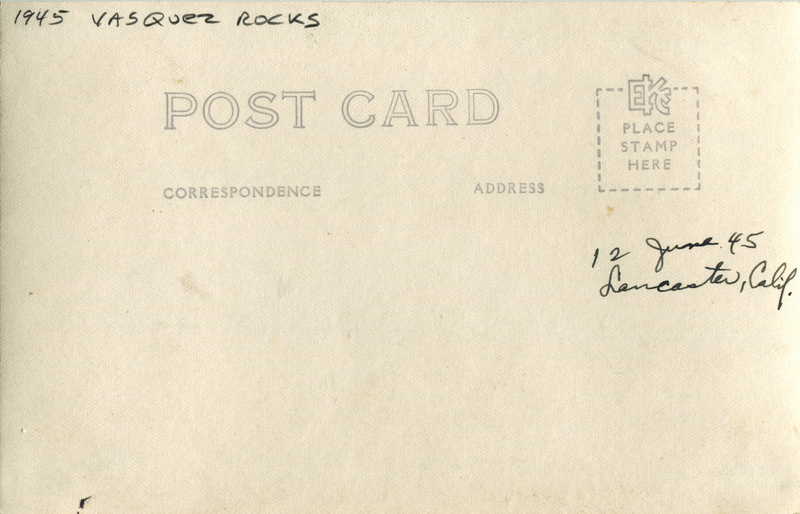 Handwriting on back reads: "12 June 45 / Lancaster, Calif.," which isn't quite correct. It's in Agua Dulce. June 12, 1945 might be the date the original collector of this postcard visited the rocks. SB4501: 9600 dpi jpeg from original RPPC purchased 2018 by Sarah Brewer. Collection of Sarah Brewer.